Natural Smiles - Family Cosmetic Implant Dentistry (Chalfont) - Book Appointment Online! Skill and compassion go hand in hand when providing exceptional patient care. As a dental professional, we stay up to date on the latest advancements in dentistry in order to provide the most current treatment options for our patients. We recognize that our patients are unique individuals who have placed a great deal of trust in us. That is just one reason why we value each and every patient relationship. 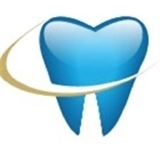 We appreciate the time you’ve taken to visit this site and we encourage you to visit our website to find out more about this dental practice, our team, and the many services we can provide to help you achieve optimum oral health. My visit today was wonderful! Dr. Nadimpalli is polite, professional, and gentle. I've always been a bit nervous visiting the dentist, but after switching practices a few years ago I've become a much more relaxed patient. Dr. Nadimpalli takes the time to get to know her patients by name and makes her patients feel at ease and calm. Her office is impeccable and office staff is personable, easy to reach, and flexible with appointment changes. I highly recommend Dr. Nadimpalli to anyone!